Medicine bottle; a clear, glass bottle with narrow neck made to take a cork or stopper. 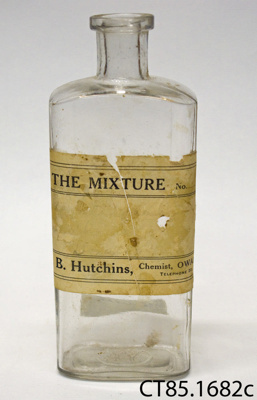 A paper label is adhered to one side, and reads: "The Mixture, G B Hutchins, Chemist, Owaka". G B Hutchins was an early, Owaka chemist, based in Saunders Street. 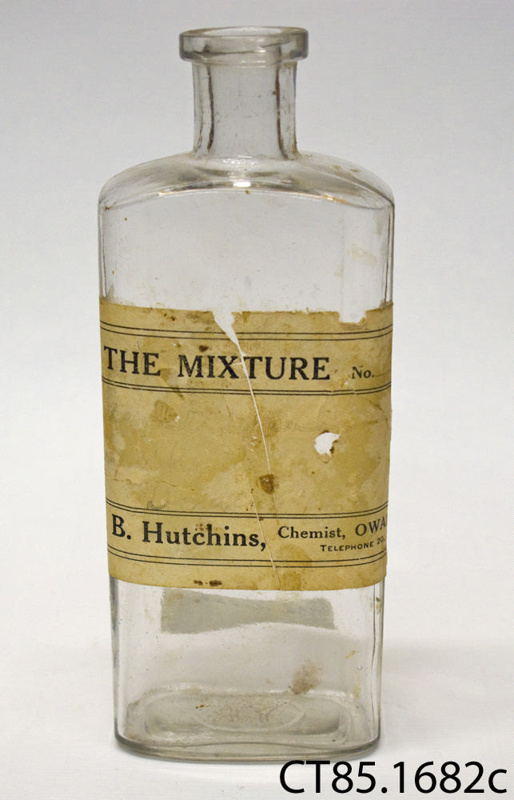 Printed on label: "THE MIXTURE / G. B. Hutchins, Chemist, OWAKA"
From the collection of Owaka Museum Wahi Kahuika The Meeting Place "a rest on your journey".